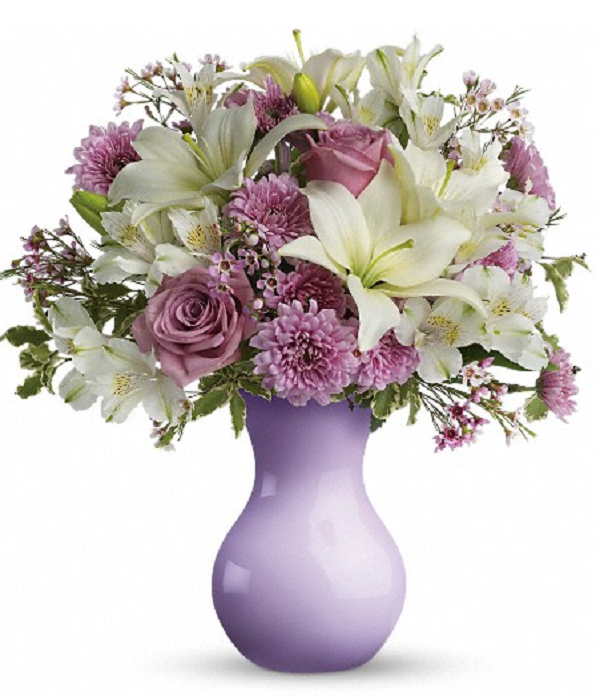 This lush lavender and white arrangement is like a kiss of bliss. Perfect for any occasion, even if the occasion is "Just Because". 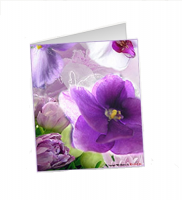 It's a beautiful way to let someone know you are thinking of them and sending sweetness their way! White asiatic lilies and alstroemeria, lavender roses, chrysanthemums and waxflower are arranged with variegated pittosporum. 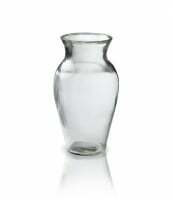 Approximately 15 1/2" W x 16" H. Vase not included.